Questioning someone’s integrity is not something I do lightly, especially when I share much ideological common ground with them. But the unsavoury behaviour of George Monbiot, a leading columnist for the Guardian and one of Britain’s most prominent progressive intellectuals, is becoming ever harder to overlook – and forgive. On a whole range of issues, such as corporate greed and threats to the planet posed by climate change, I agree wholeheartedly with Monbiot. It is also entirely possible for two people to disagree, even intensely, but still believe their opponent’s views are legitimate and advanced in good faith. That is how I regard, for example, Monbiot’s support for nuclear power as the least-bad option for dealing with mounting carbon emissions. It’s not a position I share, but he has set out his reasoning clearly and honestly. But I can extend no such understanding to his campaign of vilification begun three years ago against several leading figures on the progressive left. It started with an article in 2011 in which he attacked two scholars for publishing a book, the Politics of Genocide, in which they collected together their own and other experts’ research into two supposedly well-documented genocides, in Rwanda and the Balkans. After examining the evidence, they reached a controversial conclusion: that the nature of events in both genocides had been distorted to fit western political agendas. They did not question that large numbers of people had been killed in either conflict. They and their contributors argued instead that the term “genocide” had been used as a way to draw a veil over the events, cementing an official narrative that could not be questioned or re-assessed. Instead, they suggested, the official narrative might be serving political ends rather than reflecting accurately who had been killed and why. One of the two authors is Ed Herman, most famous for an influential book, Manufacturing Consent, jointly written with Noam Chomsky, which argues that the mainstream media are not the democratic and pluralistic institutions they claim to be but rather corporations advancing official narratives designed to serve elite – including, of course, their own – interests. Their thesis has only found more adherents over time, particularly as the internet has provided dissident writers, including Chomsky, with a rival platform from which to challenge the consensus policed by the corporate media. So it is hardly surprising, given their starting point about the media’s role in manufacturing consent, that Herman and his collaborator David Peterson should be suspicious of two of the strongest consensual narratives of recent times: the Rwanda and Balkan genocides, which even had their own dedicated international tribunals established to very publicly try the official bad guys. It is increasingly hard to shake such suspicions given his behaviour over the past three years. Monbiot’s 2011 column denounced Herman and Peterson as genocide deniers, probably the most serious accusation one can level against a fellow intellectual. One might have assumed that Monbiot would marshal enormous evidence before making such a serious allegation. Not a bit of it: in his column he made a brief and sweeping condemnation of their thesis and their right to question the official narrative. A single ugly column by Monbiot might possibly have been excused as an unfortunate lapse. But he then revisited the theme a year later in what can only be characterised this time as an exercise in leftwing McCarthyism. Having no stronger argument than before, Monbiot on this occasion recruited four academics to his cause of denouncing Herman and Petersen as genocide deniers. As someone who himself challenges orthodoxies – in my case Israeli ones – I know precisely how weak this kind of resort to an argument from authority is. Were I to so wish, I could easily seek to discredit the Israeli historian Ilan Pappe in similar fashion for his argument – an entirely correct one – that Palestinians were ethnically cleansed from their homeland by Israel in 1948. All I would need is find a handful of respected historians and public intellectuals like Benny Morris, Anita Shapira and Ari Shavit to support my case. But what would this prove? Only that the job of many, if not most, “experts” in any field is to help construct and maintain official narratives. That is, after all, why they are official narratives! Monbiot’s performance here was as ugly as watching McCarthy in his heyday grilling American intellectuals to expose their Communist sympathies. In full righteous mode, Monbiot ended by flaunting like some diva his “depression” at the left’s “idiocy”. He lamented how Chomsky, once his “hero”, had – by refusing to agree with him – proven himself a fellow traveller with genocide deniers. What underlies this argument, unexamined by Monbiot – presumably because he lacks the self-awareness to understand it – is a serious divergence of views about power. Monbiot’s clash with Herman, Peterson and Chomsky is not really over the facts of a genocide, but over who has a right to speak. Monbiot, embedded in the camp of the corporate media, has adopted its ethos as his own. Those who are respected – that is, those who stay within the limits of officially sanctioned thought – have the right to advance their claims. Those outside the magic circle – those not credited by the corporate guardians of legitimate thought – do not. Herman, Peterson and Chomsky’s work implicitly exposes the vacuous and circular logic of Monbiot’s assumptions. That point becomes especially clear if one reads through Monbiot’s correspondence with Chomsky. Chomsky struggles to hide his exasperation at Monbiot’s inability to grasp the elementary arguments he is making, even though he is forced to make them repeatedly. Monbiot, on the other hand, thinks he has cornered Chomsky in some kind of intellectual hypocrisy. What he has revealed instead is how deeply embedded he is in the corporate mindset, one that reserves for itself the right to determine the limits of the thinkable. Interestingly this month, however, Monbiot found his own assumptions exposed from an unlikely quarter: the BBC. The corporation – one of the most powerful enforcers of official narratives – made an unusually daring programme, Rwanda’s Untold Story, questioning the consensus on the Rwandan genocide, all be it 20 years after the events. The programme-makers’ conclusions echoed those of Herman and Peterson: that census figures and death toll estimates do not support the accepted narrative of a genocide in which the Tutsis were the main victims of the slaughter. The data, in fact, indicate the exact opposite: more Hutus were killed than Tutsis, possibly many times more. This has ramifications beyond the historical. Paul Kagame, the leader of the Tutsi militia the RPF, and therefore now potentially in the frame as the chief perpetrator of a genocide against the Hutus, is today the much-respected leader of Rwanda, a man feted by western leaders. On my blog I suggested last week, given that even the hyper-cautious BBC appears ready to concede that the Rwanda genocide needs a reassessment, it might be time for Monbiot to apologise for his ugly accusations against Herman, Peterson, Chomsky and others. So far Monbiot has made no proper response, despite receiving similar demands for a retraction from a number of people on social media. It would be nice to think that his silence suggests he is engaged in soul-searching and formulating the necessary response. But unfortunately the omens are not good. 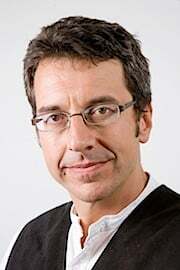 Monbiot has not yet spoken himself but he has not remained entirely silent either. In an indication that this may be more about his ego and self-appointed status as guardian of a left righteousness, he retweeted a flippant dismissal of his critics, including me, provided by a group called Mediocre Lens. Sadly, that is very much of a piece with Monbiot’s behaviour on this issue. Mediocre Lens is the poor cousin of what Monbiot has rightly exposed elsewhere as the phenomenon of “fake persuaders”, usually corporate lobbyists hiding behind front organisations that pose as “concerned ordinary citizens”. The point of the fake persuaders is to create the impression of popular support for corporate policies that harm our interests, such as destroying forests and polluting rivers. In short, the fake persuaders are there to uphold official narratives that serve business interests. Mediocre Lens does something similar, if rather more feebly. In its case it claims to be a group of ordinary journalists with a “left perspective” who promote the idea that the mainstream media is there to serve our interests. More precisely, its sole rationale is to discredit Media Lens, an increasingly popular website whose editors – wait for it – advance the thesis of Herman and Chomsky’s Manufacturing Consent. Monbiot’s promotion of a tweet from Mediocre Lens should make about as much sense – if he were the independent thinker he claims to be – as Naomi Klein retweeting approvingly an attack on the Intergovernmental Panel on Climate Change by a climate change denial group. But it makes rather more sense if we understand that Monbiot is no longer what he claims to be or seems. Years of being embedded in the corporate media have eroded his ability to remain truly independent or to appreciate those like Herman, Peterson and Chomsky who demand the right to retain that privilege for themselves.